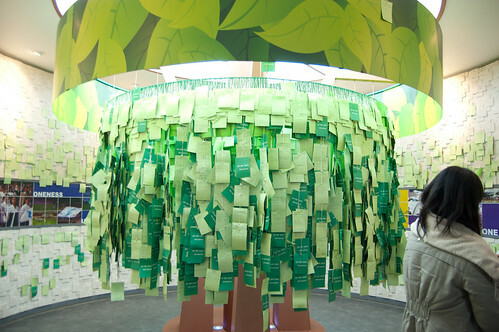 Soon after the North Korean bombing to the Yeonpyeong Island, we decided to take a trip to another island also very close to North Korea, Ganghwa, and see in person the situation there after the bombing. The truth is that we were surprised to see so few soldiers in the area, specially taking into account the situation of maximum alert in the whole country. Map of the geographic location of the island. 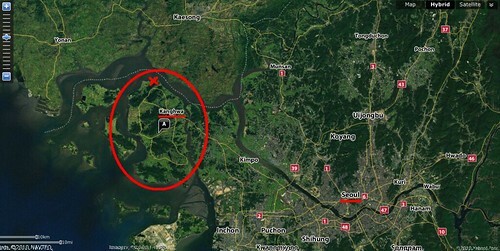 The white dotted line is is border with North Korea. 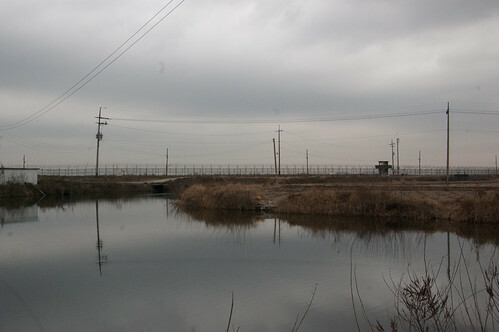 The distance between the island and North Korean territory is about one and a half mile. 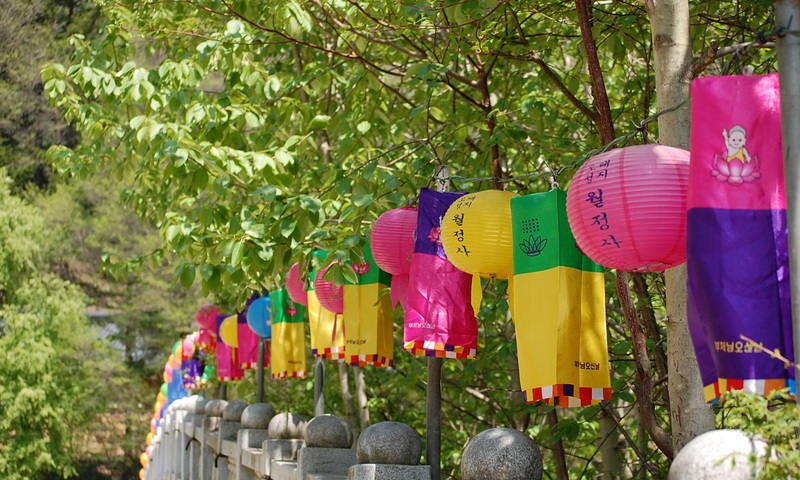 They say that around fifty percent of dolmens in the world are located in the Korean Peninsula. 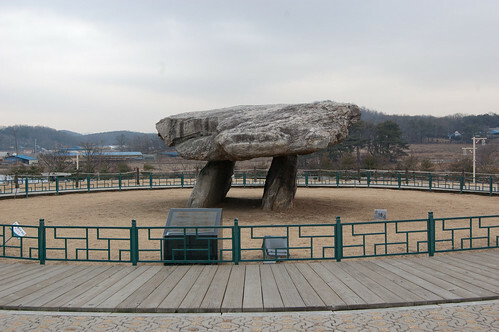 One of the tourist attraction of Ganghwa is this dolmen, the biggest one in Korea, measuring 2,6 x 7,1 x 5,5 meters. 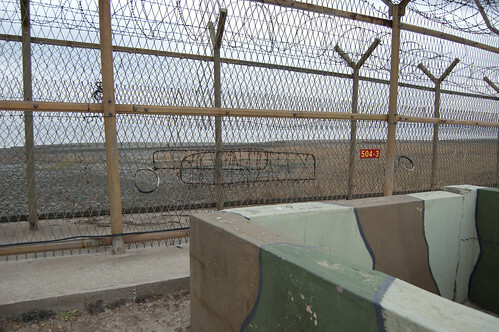 This picture shows a completely deserted scene, with a fence and an empty gard post, the only South Korean defence against the communist threat. 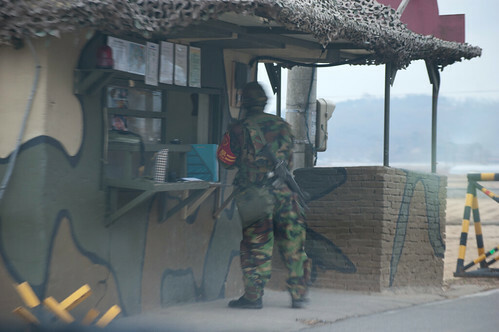 This guy is one of the few soldiers we could see during the whole trip. 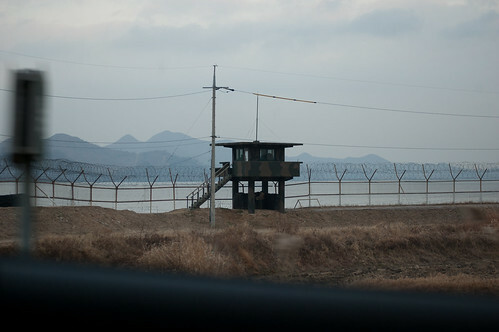 One of the empty guard posts, right in front of some North Korean hills. 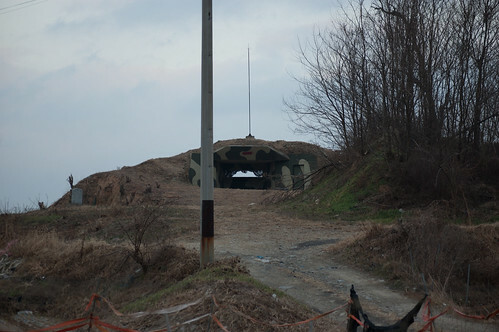 One of the many bunkers available all over the island. A trench with its (closed) window. 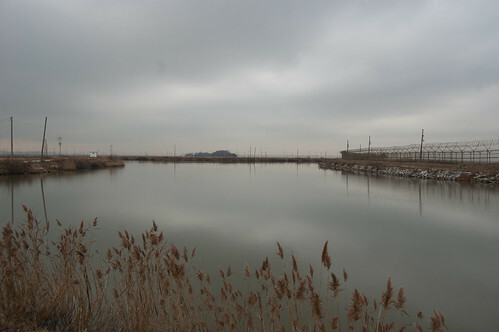 The distance from here to North Korean land is only one mile and a half. 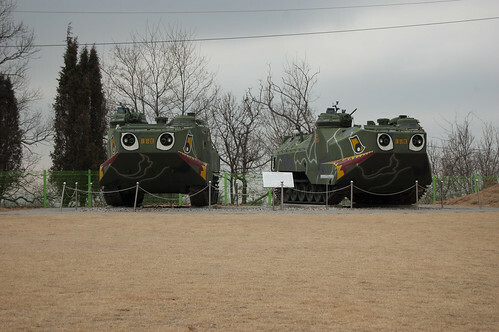 These two tanks are in exhibition at the “Peace Observatory”.